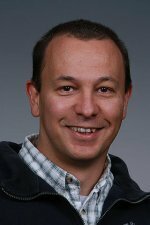 Congratulations to Bora Akyol, a computational research scientist at the Department of Energy's Pacific Northwest National Laboratory, on being selected as a Fellow on the National Board of Information Security Examiners. As a member of the NBISE Smart Grid Security Panel, Akyol will work with a distinguished group of cyber security experts to create a certification for smart grid cyber security professionals. Akyol is a staff member in PNNL's Computational Sciences & Mathematics Division and also serves as a focus area lead for the Laboratory-funded Future Power Grid Initiative. His other research interests include network security, embedded software engineering, high performance computing and optimization, and Java development.